Anything that you don’t know is a secret to you. 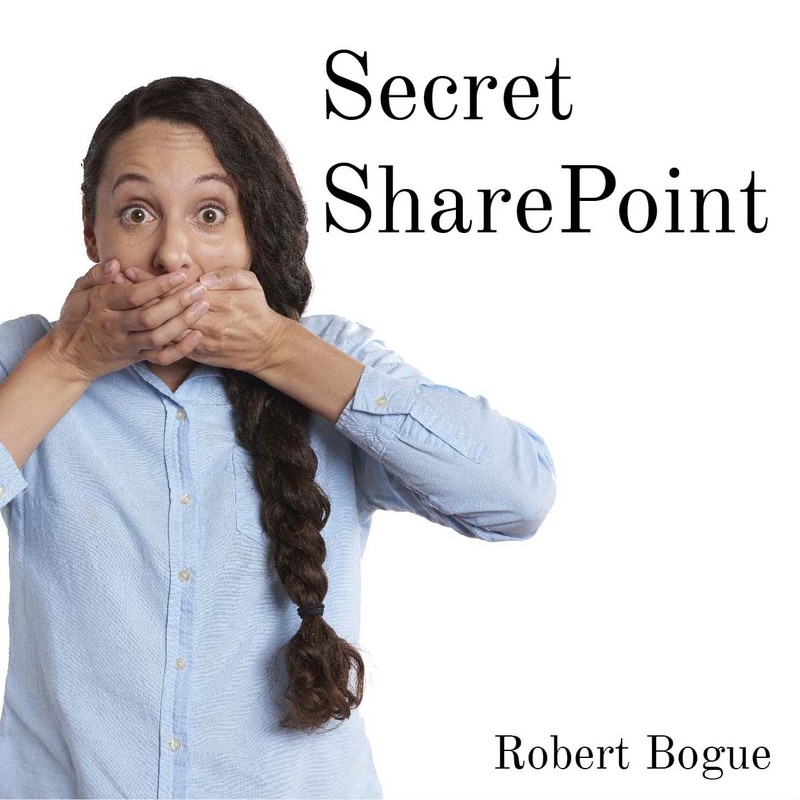 Secret SharePoint is about sharing the secrets that unleash productivity with everyone. The secrets shared here aren’t new – they’re just unknown. Robert distills the questions that he receives most frequently from customers, students, and session attendees into some of his favorite solutions that solved real-world problems. SharePoint is an incredibly powerful tool, particularly combined with some of the new features coming out in Office 365, but most simple problems, like managing navigation, permissions, or integration with other solutions, have remained difficult. However, like anything else, once you know the solutions, it’s easy. Whether you’re working in a small office with a few people or a huge multi-national company, these secrets, once revealed, will make you better able to use SharePoint to get your job done.